The reaction from the Tatar leaders of official Russian Islam to the American campaign in Afghanistan was mixed. Mufti Talgat Tadjuddin referred to the ‘aggressive, half-learned, maniacally ambitious rabble forming the core of the Taliban’. Siberian Mufti Nafigulla Ashirov condemned the American ‘crusade’ against Islam and warned of the threat posed to Russia by a permanent US military presence in Central Asia. Ashirov added that every Muslim had the right to fight on behalf of the Taliban. The powerful Muslim Duma member Abdul-Wahid Niyazov declared that it was clear that the U.S. was ‘pursuing goals far-flung from the struggle against terrorism’. None went so far as to encourage Muslim volunteers to join the Taliban. 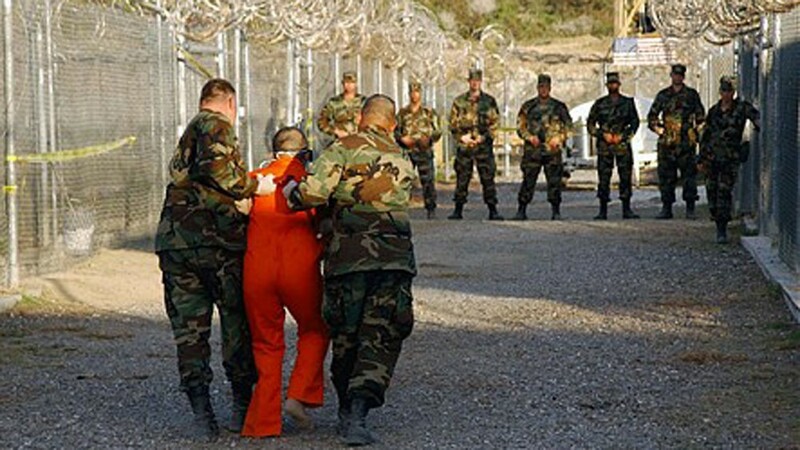 The eight Russian citizens in Guantanamo Bay are members of the Tatar and Balkar ethnic communities. Despite American claims that they were involved in heavy fighting with elite Chechen units in Afghanistan, none of the prisoners are Chechen. The Russian citizens were incorporated into the Islamic Movement of Uzbekistan (IMU), a guerrilla group led by Tahir Yuldash and Juma Namangani (the latter believed killed in last year’s fighting in Afghanistan). Under pressure in their operational theatre of Central Asia, the IMU had moved to Afghanistan to rebuild, and was already involved in the fighting against the Northern Alliance before 9/11. In an unusual step, the U.S. allowed representatives of the Russian Prosecutor General’s office (supported by FSB and Defence Ministry officials) access to the prisoners in March 2002. The team was led by Igor Tkachev, Russia’s most experienced investigator in cases involving radical Islam. Tkachev reported that several of the prisoners were seeking extradition, believing they faced the death penalty in the U.S. Criminal charges of illegal border crossing and membership in illegal armed formations were laid in Russia after the Prosecutor’s team returned, representing a possibility of 8 years in prison. The disintegration of the Soviet Union in 1991 left Russian Muslims cut off from their traditional ties with the Islamic communities of the newly independent Central Asian nations. Due to the absence of Islamic educational institutions in Russia, most of Russia’s Muslim clerics had been trained in Tashkent and Bukhara. Much of the slack was picked up by a massive Saudi-financed campaign to spread Saudi-style Salafist Islam (‘Wahhabism’) in Russia. The backgrounds of the Russian Taliban reflect the grass-roots dissatisfaction with official Islam. The first three were captured at the siege of Kunduz by the Uzbek forces of Rashid Dostum, and were only discovered to be Russian citizens after their arrival in Cuba. They included Rasul Kudayev of Kabardino-Balkaria, Ravil Gumarov and Shamil Khaziev (alias Almaz Sharipov), the latter two natives of Bashkortostan. 32-year old Khaziev is a former policeman who left his work in 1997 to move to Chelyabinsk, where he developed an interest in Islam. 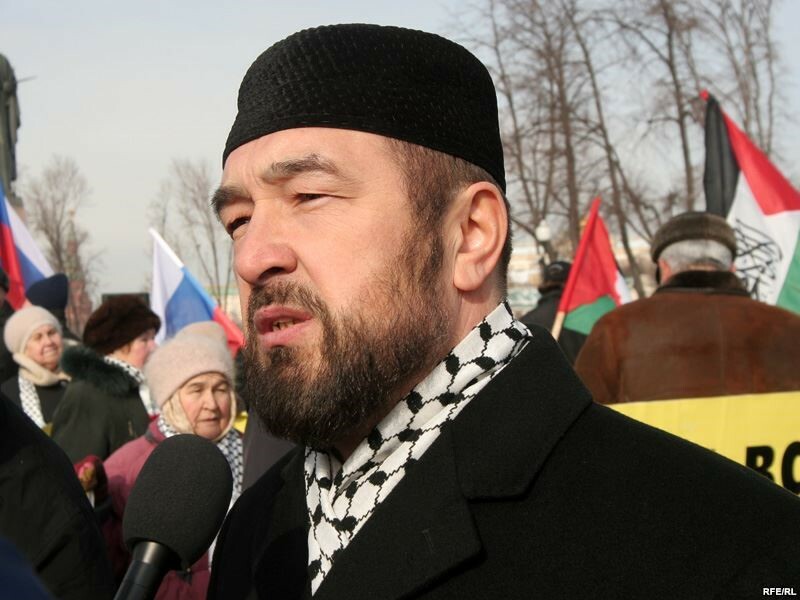 According to Russian sources, Khaziev joined the Chechen mujahidin in 1998 before leaving for Afghanistan in 2000. 38-year old Gumarov is reported to have known Kudayev from a ‘Wahhabist’ madrassa (Islamic school) in Naberezhnye Chelny, but found his own way to the Taliban through Uzbekistan in early 2001. Both Khaziev and Gumarov told Tkachev that they were looking for a ‘real Islamic state’. Russian prosecutors are especially interested in questioning these suspects at length about their association at the Yoldyz madrassa with Deniz Saitakov, a Balkar radical accused of taking part in the 1999 Moscow apartment bombings. Saitakov was reported killed in Chechnya, but his body has never been recovered. Kudayev, only 20 when taken prisoner, was already known to the FSB and is alleged to have been closely associated with the jama’at members tried last year for attempting to overthrow the Kabardino-Balkaria government. Kudayev, like many of the others, claims to have been an Islamic student compelled to join the armed units of the IMU. The remaining detainees include a Balkar and four Tatars including a Siberian Tatar from the far northern Tyumen region. There is considerable friction in the Tatar community between Arabian educated or influenced Muslims (‘Wahhabis’ in Russian parlance) and official Islam, which follows the traditional Hanafi madhab (judicial school of Islam). Tatarstan official Islam works within the non-threatening framework of ‘Euro-Islam’, a rejuvenation of Tatar reformist Islam, Jadidism, which first developed in the 1880s. The ‘young Imams’ of the community favor a full Islam-based participation in the political process, unlike many of the older leaders who prefer separation of mosque and state. Jadidism has failed to penetrate far from the Tatar region and is opposed even there by the more conservative Qadimist faction. Muslims not wishing to become part of officially registered congregations are often drawn to radical ‘unofficial’ communities that encourage confrontational responses to White House and Kremlin policies in the Islamic world. The isolation of popular Islam during the Soviet period encouraged the return and growth of native customs alongside Islamic practices. The rapid expansion of post-Soviet Islam has led to a proliferation of spiritual leaders with no religious training. A recent Russian decision to bar Islamic teachers of Arab background has only exacerbated this problem. Exposure to the outside world of Islam has encouraged some young Muslims in the belief they have gained access to ‘Pure Islam’. The many accretions and innovations (bid’a) in Russian Islamic practice tend to be brutally exposed under the harsh light of Salafist teachings. The existence of radical Islam provides a divisive force in the Russian Muslim community that is both constant and elusive. The number of militant Islamists in Russia remains extremely small, yet according to the leaders of official Islam everyone is practicing Wahhabism except their own faction. There have been attempts by Tadjuddin’s rival, Mufti Ravil Gainutdin, to link Tajuddin with Bin Laden, using the flimsiest of evidence. For his part, Tadjuddin recently warned of tens of thousands of ‘extremist zombies’ returning to Russia from Islamic training centers abroad. While their leaders brawl in public, moderate and secular Tatars grow increasingly frustrated with the portrayal of their community in the popular Russian press as a nest of potential terrorists. It is uncertain how many Russian citizens fought on the side of the Taliban. What appears to be certain is that the Russians held in Cuba represent the flotsam of war rather than threats to American security. No links to al-Qaeda have been established or even suggested. The prisoners’ value to Russian investigators is likely far greater than to the U.S.